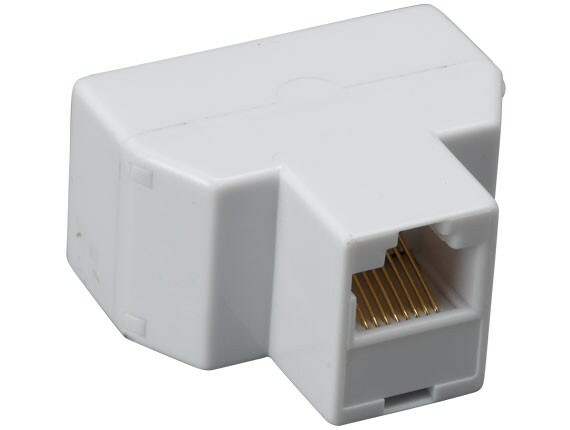 T-adapters for Cat5e (ethernet) applications are great cost saving devices that help to reduce the number of lines needed to connect two distant points. They are not splitters in the traditional sense; hence, you cannot use it to split a single port on a modem, computer, switch, router or hub. These T-adapters allow you to connect 2 ports on a switch, hub or router to 2 different computers. Although sold separately, these T-adapters should be used in pairs. From PC's to Wall Plate/Panel: It takes the initial two ethernet cables from two PC's into the two female ports on the T-adapter. 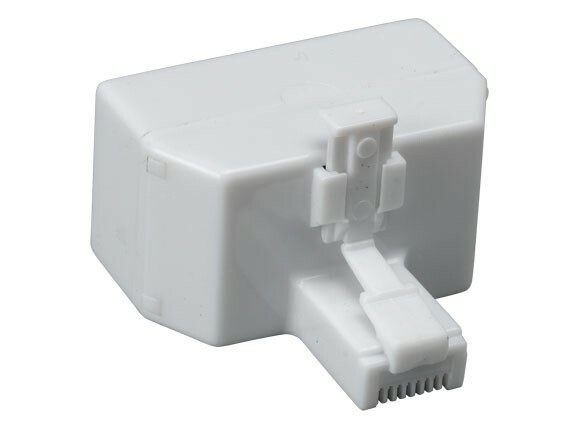 The male ethernet cable that is attached to the T-adapter then connects to a wall plate or network panel. 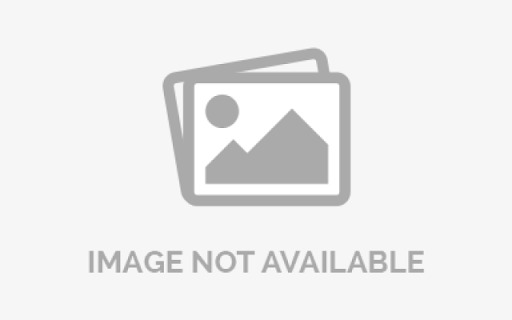 We recommend using our part # TA302-0306 for this side of connection. 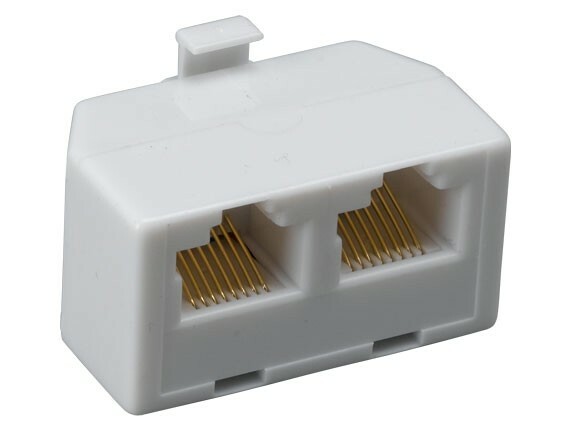 From Wall Plate/Panel to Router/Hub: We recommend using our part # TA302-0206 for this side of connection. 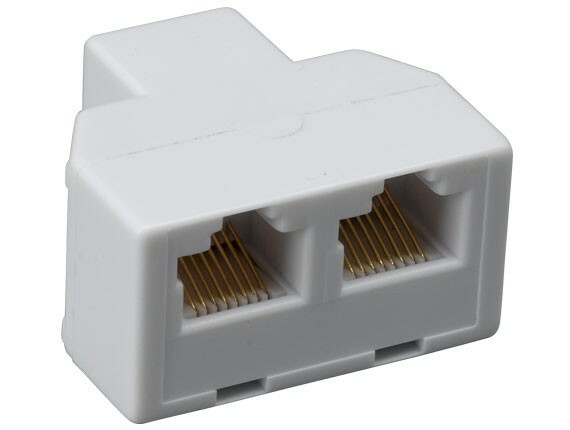 It takes an ethernet cable from the wall plate or patch panel to the female port of the T-adapter and the two male ethernet cables attached to the T-adapter connect to the Router/Hub/Switch. Pins 1,2,3,6 are passed straight through to connector #1. Pin/pairs 4-5, 7-8 are routed to 1-2, 3-6 on connector #2.